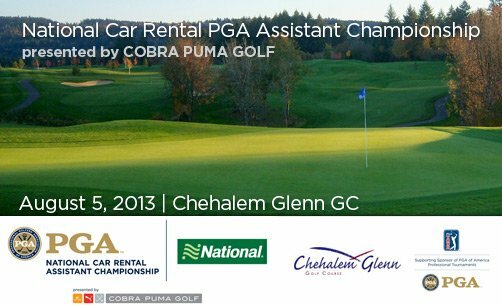 We gained approval from National to accept post entries for the National Car Rental PGA Assistants Championship presented by COBRA PUMA GOLF. If you already entered through the PGA, thank you. We’ll see you at Chehalem Glenn Golf Club in Newberg, Oregon on Monday, August 5. If your schedule just opened up or you are a newly registered assistant with playing privileges, you are welcome to post enter. Deadline for post entry is Wednesday, July 31st at 5:00 PM. Post entrants are not eligible to advance to the National Championship. Late Assistant entry and complete tournament details is available at the attached link. This year’s Assistant Championship marks the 37th Anniversary as a National event but the PNW Section has been conducting the event since Fred Pelzer donated the trophy in 1965. Chehalem Glenn Golf Course opened in 1995 to rave reviews and was quickly recognized as one of the most challenging courses in the Portland area. The front nine opened in July of 2005, with the second nine following two years later. In 2010, Chehalem Glenn was featured by the readers of the Portland Business Journal as the #1 Most Challenging Course, #2 Favorite Public Course, and #3 Favorite Course To Host A Golf Tournament. Head PGA Professional Branden Thompson is excited to host. See you at Chehalem Glenn Golf Club!